All the negative publicity about Harper Lee’s Go Set a Watchman, and all for naught. Does the book address racism? Yes. Is it a racist book? Absolutely not. Appropriate of the time in which it was written? Oh, yes. Two-thirds into reading the book, I was waiting for the racism to appear. It finally did, but it did not at all conflict with anything in To Kill a Mockingbird. That’s all I can say about the book in case my readers haven’t read it yet. However, judging from the amount of summary-and-analysis type books available on Amazon, there are probably many different opinions and interpretations of the book. When you read it, remember that it was written before the classic To Kill a Mockingbird, despite the fact that it takes place almost 2 decades later. My suspicion is that the publisher thought it would be better to fill in the background information–like the trial and all that occurred that had been connected to the trial–so that readers would understand the content of this book. What I can say is that, although this book is well-written and there were apparently no changes made to the original manuscript (unless I’ve read the reviews incorrectly), To Kill a Mockingbird was better written, reflecting the author’s writing maturity and careful editorial suggestions. Personally, I enjoyed the book and wish all the hype about it hadn’t been stirred up before it was released. I had pre-ordered the book, and then was reluctant to read it after all the negativity about racism in the novel. When I finally read it, I found myself looking for hidden and overt racism. It’s not like it didn’t exist during the time period, so I wound my brain back to the time when racism was still running rampant in the North as well as the South–the time before all the metropolitan race riots during the 1960s. I read the book within the context of historical knowns and even unspoken prejudice of the Northern university town in which I grew up during the 1950s and 1960s. The book is true to the time period, but it also makes a strong statement about how people in the South viewed their communities during this time period. Just as the book exposes both subtle and overt racism, it also opens the mind to subtle and overt anti-racism, as well as the “in-between” attitudes coexisting with the polarities. Now that I know that the hype was primarily generated by loud readers who either never finished the book–or never even cracked the cover (physical or electronic)–I am going to read the book again with a more free and more open mind to the author’s words and thoughts. 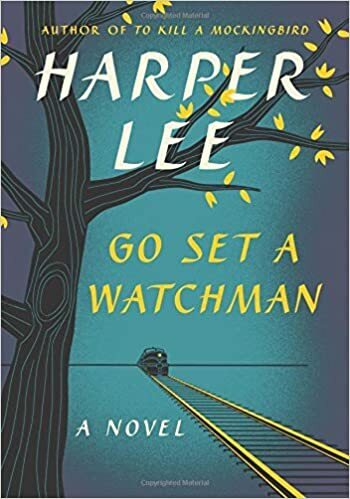 Go Set a Watchman will probably never reach the readership and importance of To Kill a Mockingbird, but it deserves to be read with an open mind and an eye to a very tumultuous historical period in the US’s recent past.